The South West Neuromuscular Operational Delivery Network (SWNODN) team deliver paediatric and adult neuromuscular out patient clinics across the South West. They also run a number of transition clinics to streamline the transfer from paediatric to adult clinics. The clinics are run by a SWNODN Consultant Neurologist, or Consultant Paediatric Neurologist, who are supported by a Specialist Neuromuscular Advisor, a Specialist Physiotherapist, and a Specialist Clinical Psychologist. As many neuromuscular conditions can affect other organs in the body, the SWNODN Consultants also attend a number of joint specialty clinics across the region where they work in collaboration with other consultants who may specialise in cardiology, respiratory, genetics, for example. This is to ensure patients get the best quality care in the most convenient location possible, with the correct specialists. We will be continually assessing the needs of patients with a neuromuscular condition in the South West with a view to developing more specialist clinics and services as required. If you are a patient in the South West and would like to help us improve services closer to where you live, please register your details with the Network to ensure you receive a copy of our yearly Patient Satisfaction survey. Dr Anirban Majumdar and Dr Kayal Vijayakumar, both Consultant Paediatric Neurologists with the Network, run a weekly paediatric neuromuscular clinic in the Bristol Royal Hospital for Children. They also attend other hospitals around the region to either run, or work with a local Paediatrician, to deliver neuromuscular clinics. The SWNODN Neuromuscular Advisors and Paediatric Neuromuscular Physiotherapists often attend other out patient clinics run by Paediatricians who have professional links with the Network. To find your nearest paediatric neuromuscular clinic, please click on the area you live in on the left. 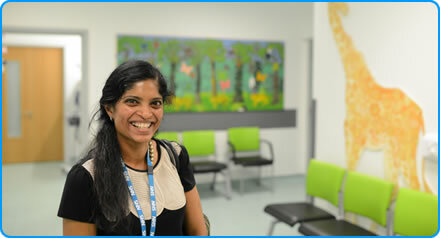 Transition clinics form part of the pathway of care between paediatric and adult neurology services. Their purpose is to streamline the process of transferring between the services and support the young adult and their family. The transition clinics are held across the South West. They are attended by the Paediatric and Adult Neurologists, the paediatric and adult Neuromuscular Physiotherapists, a Specialist Clinical Psychologist and a Neuromuscular Advisor. To find the nearest transition clinic to you, please click on the area you live in on the left. Weekly adult neuromuscular out patient clinics are run in Southmead Hospital Bristol run by Dr Andria Merrison and Dr Stefen Brady. They also deliver regular neuromuscular clinics in other locations across the South West and attend joint clinics with Consultants who may specialise in cardiology, respiratory and genetics. To find your nearest adult neuromuscular clinic, please click on the area you live in on the left. The Paediatric and Adult Neurologists all attend clinics where patients can be seen with other doctors who specialise in different areas of medicine, for example, Cardiologists, Respiratory Consultants or Geneticists. This provides a holistic approach to medical care as well as reducing the amount of clinics that patients may have to attend to get this specialist advice in one place. You may also see the Specialist Physiotherapist and Neuromuscular Advisor in these clinics. To find your nearest joint specialty clinic, please click on the area you live in on the left.